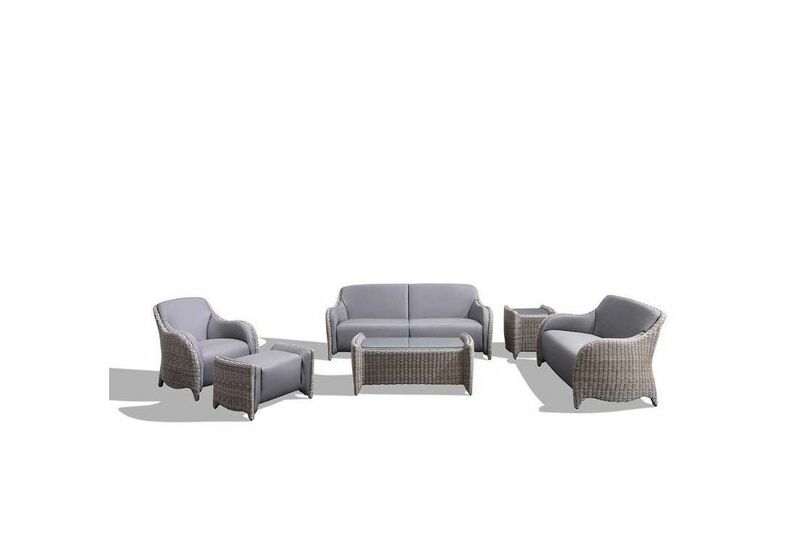 luxurious appeal our Meteor Range really does tick all the boxes when it comes to outdoor furniture. All frames are made from tough but lightweight aluminium making them great for use outdoors. Abaco XF Premium Marine Grade Rattan ..
Includes a 3 year guarantee on the Frame and Weave and a 2 year guarantee on the Ultra Hi-Loft Fabrics. These premium fabrics are made by Spradling using a brushed process to give them a softer, lush quality throughout. SilverGuard and Permablok technologies offer environmentally friendly and bacteria-fighting technology that inhibits odour and stain causing bacteria. The following characteristics make these fabrics perfect for use outdoors - antibacterial, antifungal, mildew resistant, formaldehyde free, no heavy metals. They also include the following performance related characteristics as standard - superior abrasion resistance, cold crack tested to -20F, flame retardant to all major recognised standards.